For more than 75 years, Turtle Wax has been the leading car care provider delivering innovative products. 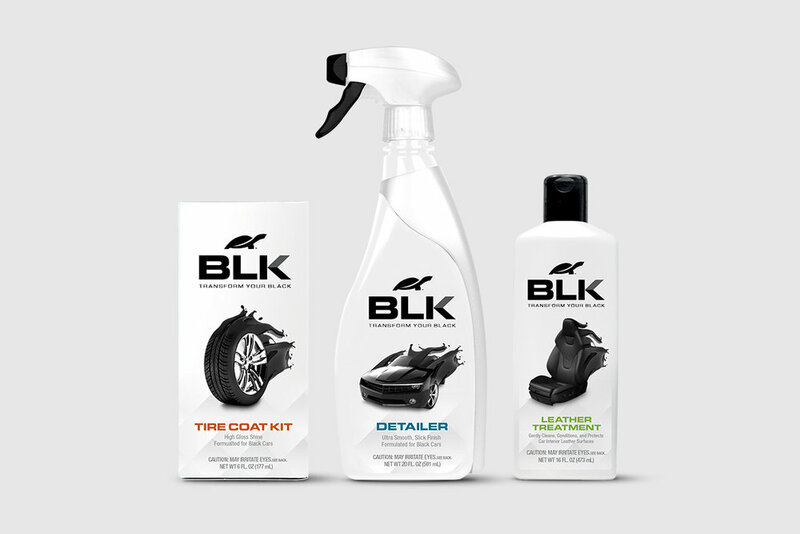 The Turtle Wax Black product line had fallen behind in their brand forward thinking and need to be repositioned to stand out in today's market and be more appealing to car enthusiasts. There was an opportunity in the market to own the color black and gain back the lead. Visually and strategically supporting the focus of owning the color black through the use of white my solution was to create a visual language that was dynamic. I wanted to make sure it reflected the key benefit of the product, transformation from dull black into rich and lustrous black. The logo is based upon car hood emblems creating an iconic badge while reflecting the transforming benefit in the "K". The imagery captures the moment of transformation in an energetic nature and comes to life on the web.